Meet the Freshman, Alex Chavez, Adv. 900. He is a captain for the Men’s Volleyball team, and is loving his time at Northside. What’s your favorite class at Northside this year? As hard as it is, I’m really enjoying my Linear Algebra and Differential Equations class. All the calculus is challenging, but I like it a lot. My college decisions come out next week, so I’m really afraid I won’t get into any of my top schools. Recently, I’ve been binge-watching the TV show Rick and Morty. It’s been a real adventure, and it really tests my scientific knowledge. The mirror opposite of me would be someone who is tall and looks old for their age. They’d also not really care about school and would be unathletic. 😎. It shows just how cool I am and reflects my love of wearing sunglasses. What clubs or sports are you interested in? I’ve played volleyball for the past four years, so it’s really my favorite sport. Luckily for me, I became the captain this year. We’ve only just started, but we’re hoping to improve our record from last year. 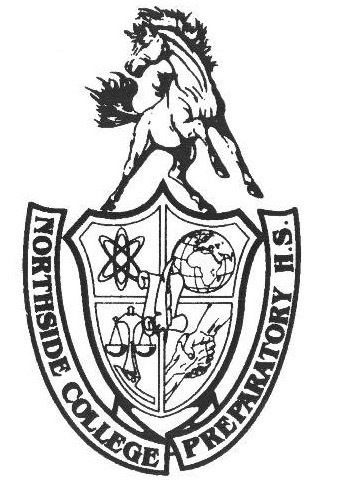 What has been the hardest class you have ever taken at Northside? Definitely physics. Mr. Hayes was such a tough teacher! What do you think of next year’s Flex Schedule? I’m really glad we haven’t had it, but I’m not looking forward to having anything like that. Hopefully college will be different. What is the most annoying thing you have to deal with? People always think I’m just a freshman. Apr 1 From Geese and Dirt, to Shiny New Turf!